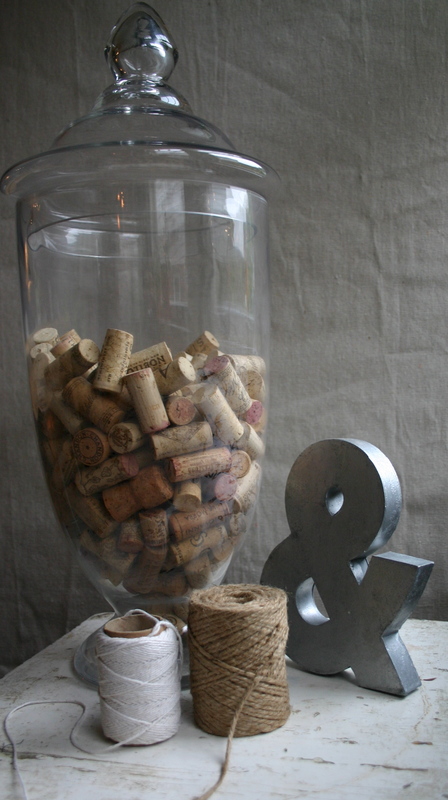 My collection of corks are housed in an apothecary jar so that all of their interesting details can be seen clearly. 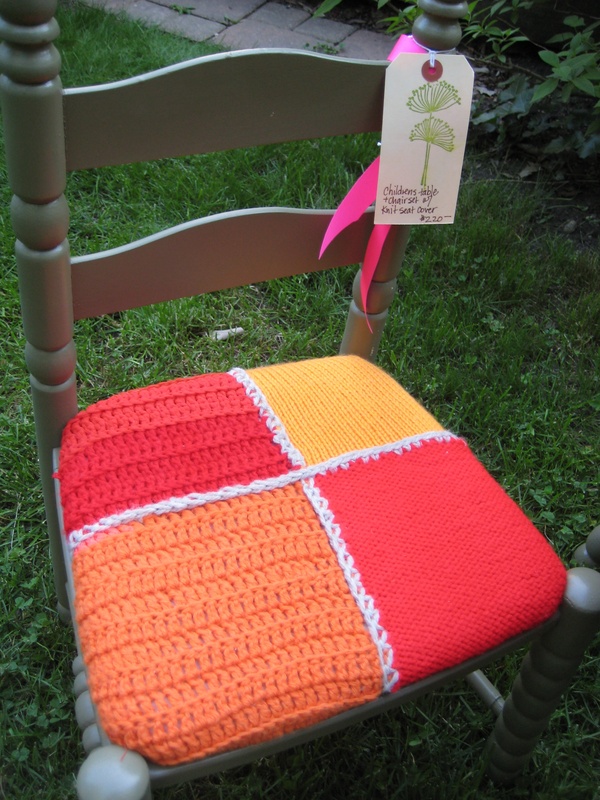 I chose a brightly covered afghan to cover the seat of this chair. The drab green paint against the vibrant colors of the afghan create a nice contrast.